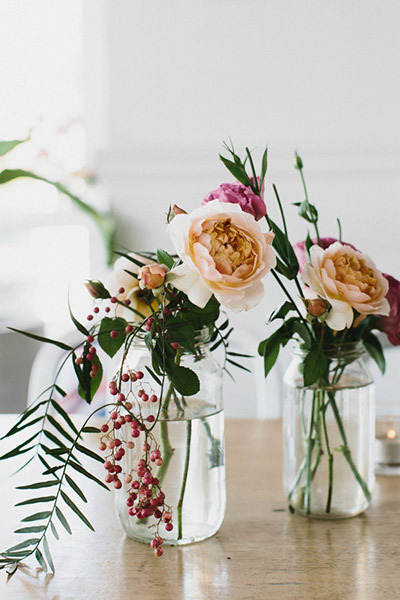 these super simple arrangements from Cecilia Fox are so best. What, TOO WEDDING-Y around here all of a sudden? I don't know what's gotten into me. EVERYTHING LOOKS BETTER IN A JAR. it's the sad truth. All of our flowers are in jars. All of them.